Villa with views Jalon valley Costa Blanca. Beautifully maintained three bedroom, two bathroom villa located in a peaceful development close to the Spanish town of Jalon. Thoughtfully designed floor plan which allows easy access to the outside areas and allows maximum sunlight in. The contemporary living spaces include an open plan living and dining room and a fully equipped kitchen with granite work tops. The master bedroom has an en suite shower room. There are two more bedrooms and a family bathroom. The swimming pool and open terraces are a great place to entertain your guests and there is a charming pergola with natural shade. There are breathtaking panoramic views from the partly covered terrace right across the Jalon valley and beyond to the Bernia mountains. The town of Jalón has many excellent restaurants and bars as well as all the shops and services you need. There is a weekly open market in the towns central plaza and a Saturday "Rastro" or flea market. Furthermore it is a mere 15-20 minute drive to the blue flag beaches and coastal towns of the Costa Blanca. This lovely villa is a spacious family home or a perfect lock up and leave holiday home. It has the potential to rent out easily all year round for those looking for a sound investment opportunity. You are enquiring about 3 bedroom house / villa for sale in Jalon / Xaló, Costa Blanca and your enquiry will be sent directly to Jacaranda Spain. Jacaranda Spain is a new kind of real estate company. We are 100% created and owned with our office based in the Jalon valley. The offices of Jacaranda Spain are located in the Spanish town of Jalon. 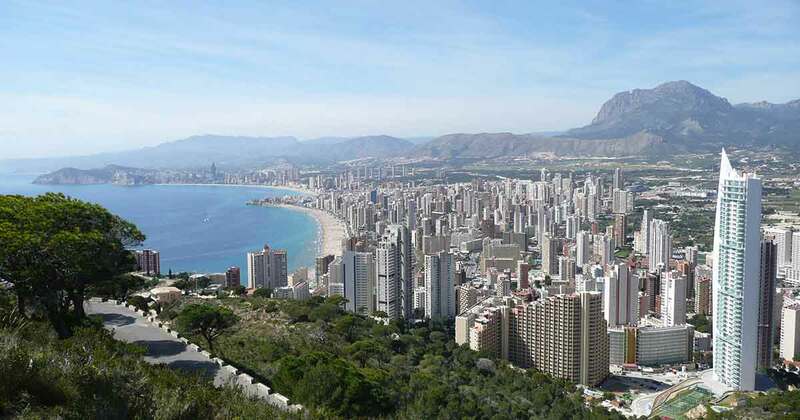 Predominantly covering the Jalon and Orba valleys and outwards towards the coastal towns of the Costa Blanca North. This is a property advertisement provided and maintained by Jacaranda Spain and does not constitute property particulars. Whilst we require advertisers to act with best practice and provide accurate information, we can only publish advertisements in good faith and have not verified any claims or statements or inspected any of the properties, locations or opportunities promoted. propertyandvillasinspain.com does not own or control and is not responsible for the properties, opportunities, website content, products or services provided or promoted by third parties and makes no warranties or representations as to the accuracy, completeness, legality, performance or suitability of any of the foregoing. We therefore accept no liability arising from any reliance made by any reader or person to whom this information is made available to. You must perform your own research and seek independent professional advice before making any decision to purchase, rent or invest in property. Want the latest properties in Jalon / Xaló, Costa Blanca in your inbox?